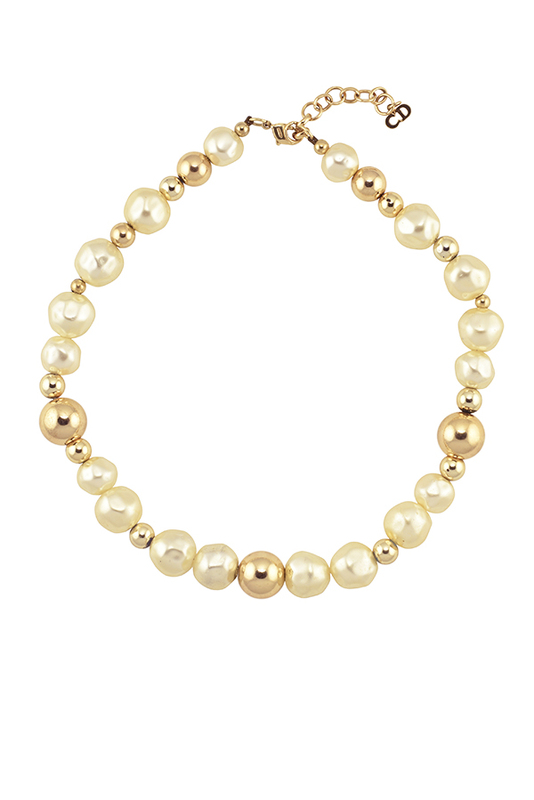 Gold tone faux white and gold pearl necklace. Total length: 19" ; Width: 0.50". Every piece has been inspected and deemed authentic by our jewelry specialists. Please note that especially for stamped vintage pieces, hallmarks may vary since many designers employ different stamps each year.